Find out the latest thinking about our universe. Astronomers using the National Science Foundation’s Karl G. Jansky Very Large Array (VLA) have made the first radio-telescope detection of a planetary-mass object beyond our solar system. The object, about a dozen times more massive than Jupiter, is a surprisingly strong magnetic powerhouse and a “rogue,” traveling through space unaccompanied by any parent star. The strange object in the latest study, called SIMP J01365663+0933473, has a magnetic field more than 200 times stronger than Jupiter’s. 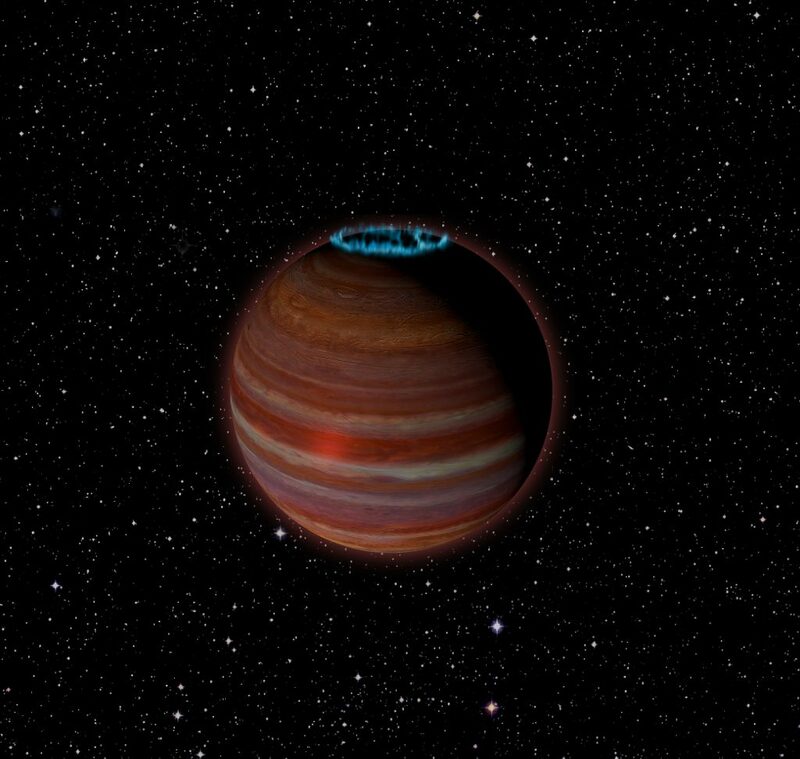 The object was originally detected in 2016 as one of five brown dwarfs the scientists studied with the VLA to gain new knowledge about magnetic fields and the mechanisms by which some of the coolest such objects can produce strong radio emission. Brown dwarf masses are notoriously difficult to measure, and at the time, the object was thought to be an old and much more massive brown dwarf. Last year, an independent team of scientists discovered that SIMP J01365663+0933473 was part of a very young group of stars. Its young age meant that it was in fact so much less massive that it could be a free-floating planet — only 12.7 times more massive than Jupiter, with a radius 1.22 times that of Jupiter. At 200 million years old and 20 light-years from Earth, the object has a surface temperature of about 825 degrees Celsius, or more than 1500 degrees Fahrenheit. By comparison, the Sun’s surface temperature is about 5,500 degrees Celsius.